Creepy-crawlies like millipedes might make you shudder a little. One thing that often makes the presence of these segmented arthropods especially disagreeable is the markedly bad smell their bodies can give off. This smell is an important defense for these slow-moving creatures. Millipedes aren't classified as insects like beetles, ants and cockroaches, but rather arthropods like crabs, shrimp and lobsters. The main difference between millipedes and those seafood favorites, however, is that the former creatures reside on terra firma rather than in the water. Millipedes are particularly fond of environments that are damp and wet, however, including places below foliage and stones. They exist in many different types of areas globally, and are busiest when it isn't overly sunny outside. Millipedes smell bad, simply put, out of the need for self-defense. Many of these lengthy arthropods protect themselves by emitting poisonous and disagreeable-smelling fluids from their glands. When millipedes feel in any way bothered or apprehensive, they typically react by giving off these smells. It's common for them to release the odor when people touch them. Some species can even spurt the stuff several inches. And if it's unpleasant to you, you can imagine how a predatory spider or centipede feels about being covered with the foul liquid. 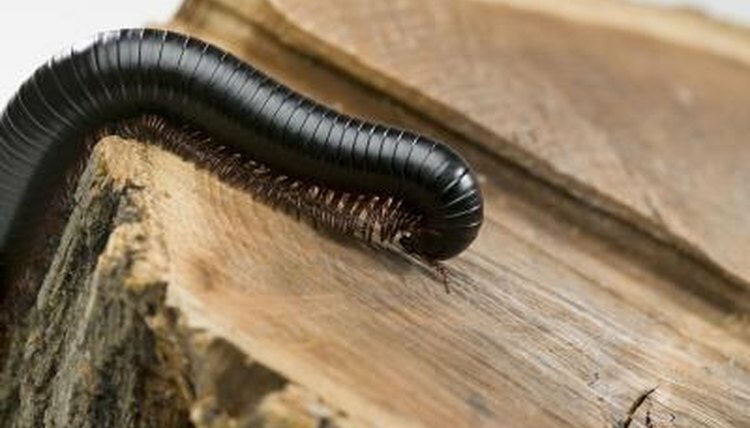 If you ever have a millipede in your hands, don't be surprised if the odor sticks around for a while. Diligent hand-washing will help. Not only does this protective substance smell absolutely awful, it can also sometimes be hazardous to humans. Some people experience allergic reactions to it. The substance also can occasionally bother the eyes and even lead to skin swellings. On the upside, millipedes (unlike their cousins the centipedes) don't bite. These sluggish creatures don't have the ability to run swiftly, which is why their odors are vital to their survival. Millipedes are also capable of coiling up their bodies, a means of shielding their fragile limbs from danger using their tough and sturdy exoskeletons.